Nest Wealth, one of Canada’s top fintech firms, has entered into multiple agreements with National Bank. Among other deals, National Bank has acquired a $6 million minority investment in Nest Wealth and has licensed the fintech’s platform for its own digital wealth experience. 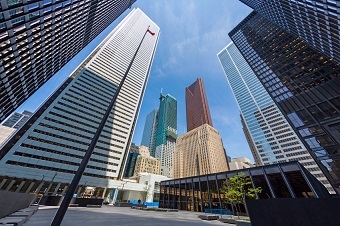 “Our objective at National Bank is clear: to augment and complement our present platforms, thereby equipping our advisors with an additional working tool that will take our investment offer to the next level,” said Martin Gagnon, who is co-president and co-CEO as well as executive vice president of wealth management at National Bank Financial. According to Gagnon, the agreement will let National Bank increase its digital services while still emphasizing the importance of financial advising relationships. Nest Wealth also predicts benefits for its own clients. “These agreements with National Bank bring us and our clients the best of both worlds – the security of a well-capitalized company, with the ability to maintain our independence,” said Nest Wealth CEO Randy Cass. Cass is planning to use the resources from the deals to improve his firm’s service. He says the firm will double the size of its team over the next six months, promising a bigger customer experience team and more software developers to improve the Nest Wealth product more quickly. “We’ll continue to listen to and work closely with our clients as we move forward together,” he said. The transaction between the two companies is subject to regulatory approval.